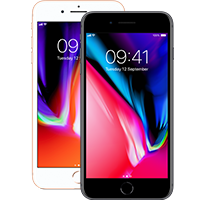 As Apple's most advanced handset to date, iPhone 7 redefines the iPhone experience with a range of cutting-edge technology. Read the rest. £531 total cost over 2 years What's This? £547 total cost over 2 years What's This? £555 total cost over 2 years What's This? £585.99 total cost over 2 years What's This? £598 total cost over 2 years What's This? Apple's 2016 flagship might not be top of Apple's line anymore, but with the iPhone 8 adding little to the mix it's still a good choice if you're looking to save a bit of money. This is a familiar phone to anyone who has used an iPhone before, with a 4.7-inch display and a comfortable design. It's far from the slickest phone around, but it looks nice in the black colour scheme. When we originally reviewed the iPhone 7 our biggest problem was the disappointing battery life, and this is still our biggest gripe. We barely made it through the day without reaching for the charger, and even iOS 11 doesn't improve things. If you require a phone with impressive endurance, then we'd suggest you look elsewhere. Battery aside, the iPhone 7 has an impressive camera and packs a water-resistant body. It's also not as delicate as the iPhone 8, as the back is still metal rather than glass. The lack of a headphone jack will no doubt irk some folks, though. iPhone 7 arrives with a stylish unibody of seamless glass and aluminium. The traditional Silver, Gold and Rose Gold finishes are joined by the new Black and Jet Black colour options. As well as making a splash, iPhone 7 can also take a splash, thanks to a water resistant rating of IP67. 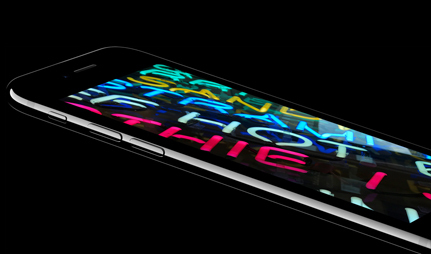 The front of iPhone 7 houses the brightest and most colourful iPhone display to date. This 4.7 inch screen is 25% brighter, and features a wide colour gamut as well as the popular 3D Touch feature. Below the display is a redesigned Home button which is now pressure sensitive for extra responsiveness. 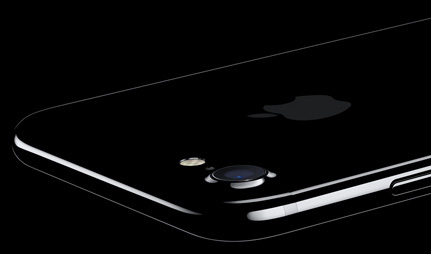 Featuring a reengineered camera, iPhone 7 offers better results, even in low light. With optical image stabilisation and an f/1.8 aperture, this six-element lens delivers brighter and more detailed shots. There's also a Quad-LED True Tone flash if extra light is required. New features such as Wide Colour Capture will make your photos and Live Photos all the more eye catching. There's also 4K video capabilities for epic home movies. A 7MP front facing camera lets you love your selfie, using Wide Colour Capture to offer sharper and more vibrant results. There's even a Retina flash for natural-looking colours in darker settings. 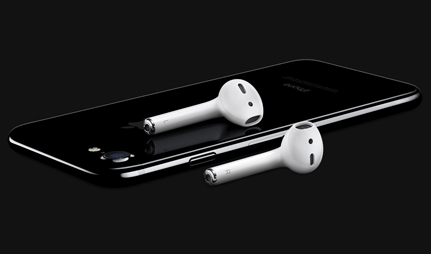 iPhone 7 debuts new EarPods with a lightning connector, leading to improved digital audio. If you prefer your old headphones, these can still be used with the 3.5mm adapter which is also included. Also available separately are Apple's AirPods, which offer a wireless experience, combining Bluetooth connectivity with crystal clear sound. iPhone 7 is also the first ever iPhone to come with stereo speakers, thanks to a new second speaker at the base. 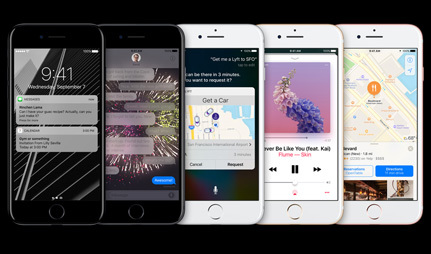 This increases the dynamic range, and delivers two times the audio output of iPhone 6s. So whether you're listening to music, watching videos, or on speakerphone, iPhone 7 lets you crank it up. iPhone 7 is supercharged by the A10 Fusion chip, which is Apple's most powerful chip ever. Offering extra processing power when required, and energy efficiency when less power is needed, this intelligent chip makes for a faster and more efficient user experience. With an all-new four-core design, the A10 can run at up to 2x the speed of iPhone 6. The A10 also means you can enjoy the longest battery life of any smartphone, with more time than ever between charges. This means you can take advantage of a battery life that offers up to two hours longer per charge than iPhone 6. Brilliant everything that I needed, so easy to use. Highly recommended. I am very happy with my new phone. It has all the functions I need. Excellent phone. This was for my 13 year old son and he is over the moon. ‘Well worth the upgrade from a 5S. Faster clearer and a much better camera. Excellent phone. Does just what I need. Camera really good too. Delivered quickly - fab service. Very nice phone easy way to purchase will use again thank you.